Introducing mealtime prayers for kids 3-9, activities, coloring, plus stories and fun for the whole family! 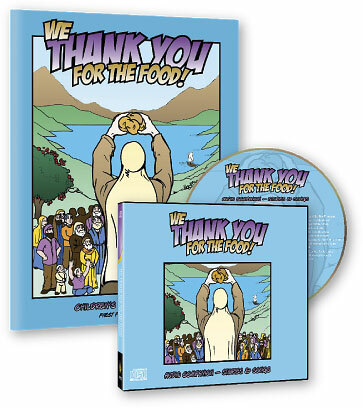 This 12-page activity booklet teaches children the importance of thanking God at mealtimes and includes traditional blessings from We Thank You. The companion audio CD adds melodies and stories from the Gospels and rabbinic literature, such as the "Feeding of the Five Thousand," and "Benjamin the Shepherd."